Pictures of Uncle Ho appears on many weblogs for the first time ever this National Day. Pictures of President Ho and flags of Viet Nam appeared on many weblogs for the first time ever this National Day. A blogger with the name “Trung_Bau” replaced his favorite avatar of Bruce Lee with the national flag. 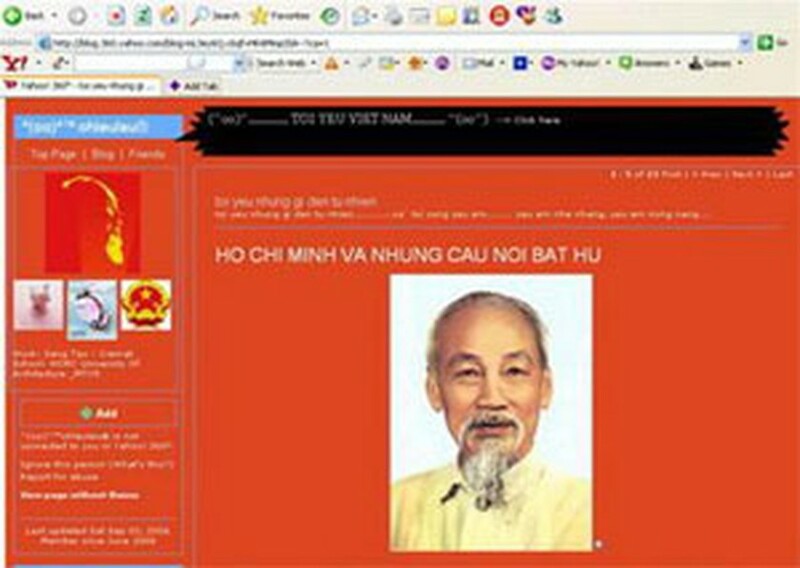 Blogger Kiemminh, a student at the National Economics University, put President Ho’s portrait at the top of his home page with the caption “President Ho Chi Minh Lives Forever in Our Cause”. And a blogger called “Ying Yang” made the national anthem available for downloading. 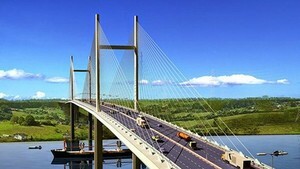 These actions show the great national pride and love felt by Vietnamese bloggers. Dozens of articles and stories about Ho Chi Minh, such as “Uncle Ho and His Famous Quotes”, and even his declaration of Viet Nam’s independence are on many blogs this year. “This National Day is so great. The patriotism of young people is so strong. I will go online this morning and call for the national flag to be flown on blogs. I love my country. Long live Viet Nam!” said one student on September 2.